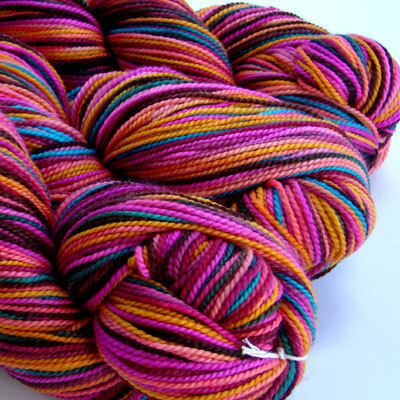 Say, do you know what weight yarn is used for the BSJ? I have seen you mention that “fat sock” is good for it, but I thought it needed DK weight. I know they say use a thicker yarn for a bigger kid, but I’d like to make one for a specific 6 month old!!! you are an evil temptress! did i miss everything? crikey. i kept hitting “reload,” but I think i completely missed out. Sigh. damned headache! I got to bed too soon. I wish you much fun in your yarn school. That must be great! Two huge boxes of yarn to dye. Sounds like heaven to me. The pictured yarn is gorgeous.